In 1849-50, the Parish of Abbey, at the southern side of Paisley, erected a poorhouse at the south side of what is now Craw Road. The buildings, constructed in stone in an Elizabethan style, comprised an entrance block fronting onto the road at the north, behind which stood the main building which had a double-courtyard plan. The location and layout of the poorhouse are shown on the 1897 map below. From 1895, the Abbey poorhouse took on the role of poorhouse for the whole of Paisley and became known as the Paisley poorhouse. A 110-bed hospital was added at the east of the site in 1890, and an infirm section in 1912. Abbey poorhouse from the north-west. During the First World War, the site was used as a War Hospital. In 1921, the poorhouse could accommodate 650 inmates. In the 1930s and 1940s, the establishment continued to operate as a Poor Law Institution providing care for the chronic sick. 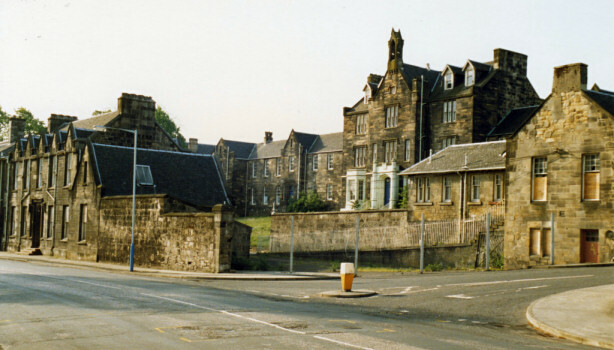 After 1948, it became an annexe to the Royal Alexandra Infirmary. The former Abbey poorhouse buildings no longer exist and the site is now occupied by a housing development. 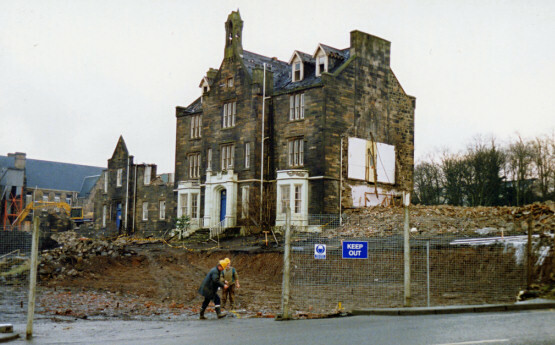 Demolition of former Abbey poorhouse from the north-west. 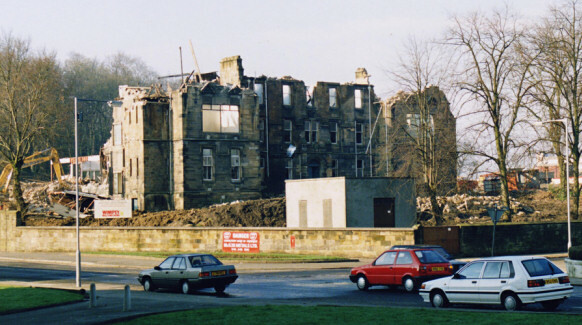 Demolition of former Abbey poorhouse from the north-east. In 1857, a Parochial Lunatic Asylum was erected on an adjacent site to the west of the poorhouse.